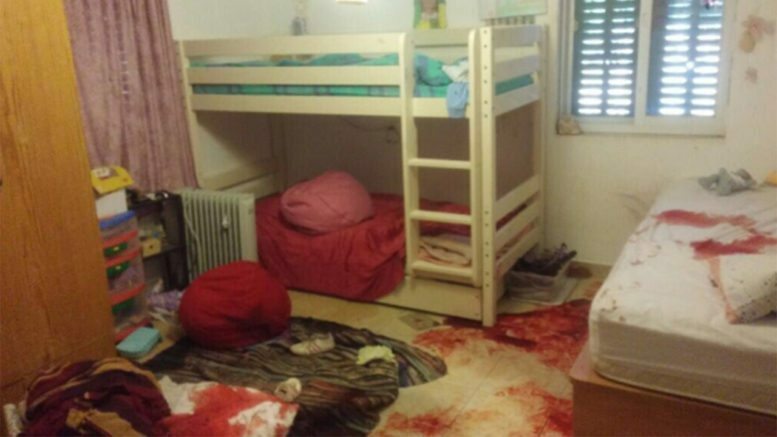 This week a 13 year old Israeli girl was brutally murdered by a 17 year old Palestinian, while asleep in her own bedroom. The vile and cowardly nature of this attack is brought home by the temerity of the perpetrator in breaking through the town’s security perimeter to enter a family home and stab an innocent sleeping girl dozens of times. Hallel Yaffa Ariel is the youngest victim in a series of attacks on innocent Israeli civilians that began late last year. This particularly heinous attack has shaken a nation that has grown accustomed to violent attacks. NZ Foreign Minister Murray McCully recently met with the Jewish community and other interested parties in Auckland. He repeatedly refused to call these type of attacks terrorism. He placed blame for the lack of peace squarely on Israel’s shoulders. The building of settlements were the obstacle to peace. End of story. There was no obligation imposed on Palestinians, no calls to stop the incitement and rewarding of violent attacks on Israelis. In a Palestinian Authority tweet, the terrorist who “carried out today’s operation” was labelled a “martyr” . The Palestinian Authority will also be paying the family a stipend, as they do for all “martyrs”. Most of this money comes from international donations. New Zealand supports UNRWA, whose workers also praise terrorists and where violence is incited in the schools (when they aren’t being used to store weapons). How can a problem be solved when there is a lack of will to acknowledge it? When will the message get through, that the cold-blooded murder of civilians is the obstacle to peace? How can one sit around a table with leaders who are inciting their people to violence and rewarding terrorist attacks? It is absurd enough that the building of homes should be equated with murder as an obstacle to peace. But McCully was not even willing to concede that terrorism existed in Israel, let alone that it was a contributing issue. When will the terrorist attacks on innocent civilians end? The reality is, they will not end while world leaders are not willing to call terror terror and while they make demands on Israelis for peace, with none placed on Palestinians. Attacks will not end while Palestinians are treated as morally incapable infants and every act of murder is absolved with a victim narrative. Cold-blooded murder can never be justified as the expression of frustration. Poverty and hardship does not need to lead to murder. Dehumanisation of the victim through a cradle-to-grave curriculum of religiously inspired hatred does make terror more likely, however, and so does rewarding terrorists with financial incentives for their families and martyr status. If world leaders are serious about wanting peace in the Middle East, they must clearly and unequivocally condemn such incidents as these. They must call terrorism what it is. They must insist that the Palestinian leadership takes concrete measures to dismantle the infrastructure of hatred and violence towards Jews. It is time to act. We call on Minister McCully, as Foreign Minister, and other New Zealand leaders to clearly condemn this particularly vile terrorist attack. We call on McCully and other leaders to speak to the Palestinian leadership and exhort them to punish terrorists, rather than reward them. We call on McCully and other leaders to make a stand for truth and justice in the Middle East.